Just about a year ago, I sat down with one of my dearest friends and talked about an idea that I had. Mandy Harlow, the owner and creative entrepreneur of Heart of Harlow is an incredible source of inspiration to me, but more than that, she allows me dream big and she encourages me to pursue the off-the-wall ideas that come to me. Heart of Harlow is an incredible Outer Banks business that is two-fold, coordination and creative. Mandy coordinates so many local events, and as a member of the Outer Banks Wedding Association, she serves couples who are planning to get married on the Outer Banks with grace and pride. Although, weddings aren’t Mandy’s only avenue! She is an asset to the Outer Banks for event planning in general. Mandy also creates some of the most amazing hand-lettered pieces. They can be found at local craft shows selling her hand crafted pieces, using her design skills to create menus, and she is the artistic talent behind my product line of “Little Beach Big Heart” products. When I originally told Mandy that I wanted to create some unique local events to bridge the gap between local Outer Bankers and our cherished Outer Banks guests, she was 100% on board. My first ideas were all over the place and needed the expertise and attention of a professional event guru like Mandy. There is a pretty big responsibility when someone hands you an incredible platform of 60,000+ people (The Outer Banks Voice) and allows you to be a voice for both the local mom who know the ins and outs of this sandbar and for the visitor who truly believes that they love the Outer Banks like a local does! My number 1 goal with my writing and website, Outer Banks Mom, is to be a voice for our coast and for our community. So, long story short, when I told Mandy that I wanted to host a Trashion Show, she jumped at the opportunity to help me put it all together. I’m so excited to announce that the 1st Annual Outer Banks Trashion Show will be held on April 26 at the Outer Banks Brewing Station. 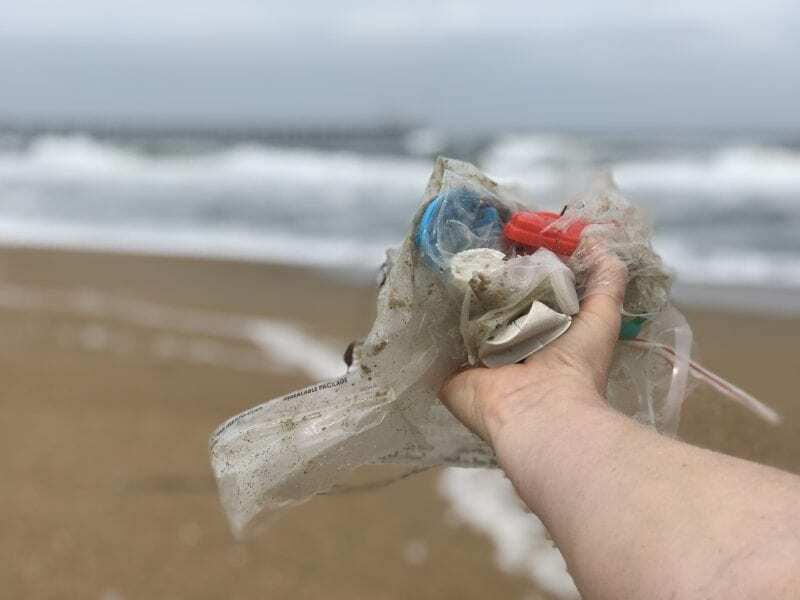 More importantly, the 1st Annual Outer Banks Beach Cleanup begins this weekend and we’re encouraging anyone who happens to be on the Outer Banks to take a closer look at the seashore. Instead of walking on the beach with your eyes to the ocean, look around and find the balloons that fell back to the beach, the plastic bags and the jumbled up beach fences that need to be removed to protect our coast and the beautiful creatures that inhabit our ocean and our beaches. Our local sponsors and models hail from incredible companies like Exhale Massage and Bodywork, Twiddy Realty, Resort Realty, 12th Street Portraits, 1587 Restaurant, the Outer Banks Wedding Association, Pizza Stop, the Outer Banks Voice, The Captain Entertainment and Surf Pediatrics and Medicine! Each group will be strutting their stuff down the runway on April 26th! While this weekend kicks off our beach cleanup efforts, the real event happens on April 26 in the most famous backyard on the Outer Banks. The Outer Banks Brewing Station is allowing us to take over the backyard to host the 1st annual Trashion Show and it’s going to be AMAZING! With a $5 donation at the door, you can witness the most unusual fashion show in Outer Banks history as our models strut their stuff on the runway. Our generous sponsors are spending the next week cleaning the beach and then they are getting crafty to create an outfit out of the things that they can find during a beach cleanup. They will work the runway wearing their very own handcrafted outfits as local judges decide who the winner of the 1st Annual Trashion Show will be! All proceeds from this event are being directly donated to the North Carolina Coastal Federation in support of their efforts to keep our coastline healthy. The party starts at 5 p.m. as our DJ broadcasts live on the ones and the twos! Jessiah of OBX Captain Entertainment is going to keep the tunes going until 9 p.m. and we cannot wait to celebrate our clean coastline as we welcome the start of the 2019 vacation season here on the Outer Banks! Of course, Mandy and I will be there in our very own Trashion Show outfits so come say hi! Check out our Facebook event for up to date information and we will see you all there! You can also follow along on our Instagram stories to watch the event in a live stream! See you there! How ingenious to come up with a Trashion show! I love it! My passion for recycling just became more rampant! 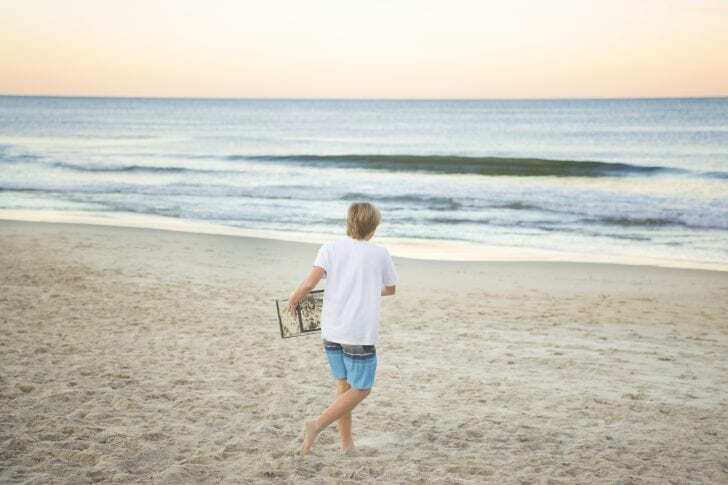 Cleaning up our beautiful beaches, protecting our waters and marine life, while incorporating this event redefines one of the reasons I plan to move to the OBX this summer. As a counselor, perhaps one idea I could suggest would be to have a similar event in the future involving incarcerated individuals doing community service and create an art piece from collected trash. This would assist in rebuilding their self esteem and teach respect for their community. Kudos to each of you who participate in the Trashion show! I’m sure it will be a fun event, demonstrating a great deal of talents. Wish I could attend, as I would give you all my best of creativity.